Mortgage rates inched forward during the week ending Oct. 25, increasing slightly across the board, according to the Primary Mortgage Market Survey released by Freddie Mac. Rates for the 30-year fixed-rate mortgage averaged 4.86%, with an average 0.5 point, up from their previous 4.85% average. The 30-year fixed-rate mortgage averaged 3.94% in the same period in 2017. The 15-year fixed-rate mortgage averaged 4.29%, with an average 0.4 point, up from 4.26%. A year ago at this time, the mortgage averaged 3.25%. The average rate for the 5-year Treasury-indexed hybrid adjustable-rate mortgage (ARM) increased to 4.14%, with an average 0.3 point, up from its previous 4.10% average. The 5-year ARM averaged 3.21% in the same week last year. 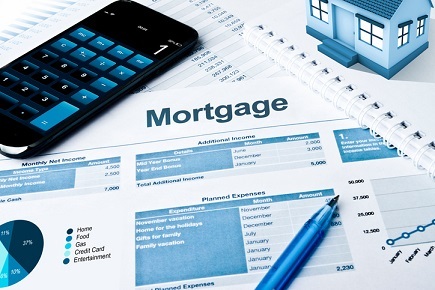 PREVIOUS POST Previous post: Why Not Use Fannie Mae and Freddie Mac to Reduce Mortgage Costs?